The Utah Beer Festival is back for its 7th round! (Picture us prancing in a field of hops, a frothy stein in each hand.) 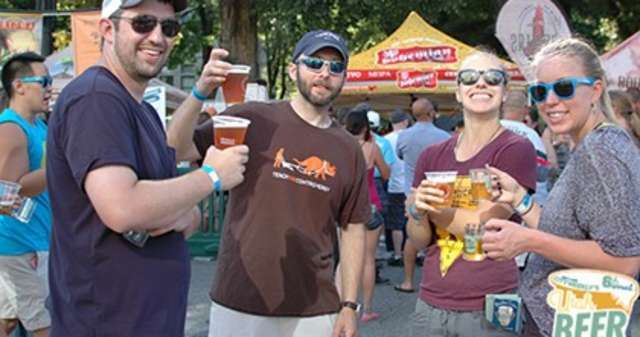 This year beer-lovers will enjoy more elbow room, as the festival has been moved to the spacious Utah State Fair Park. AND there’s more beer on offer than ever before. AND the festival raises funds for the Human Society of Utah, so you can feel extra good about quaffing that cold one. Price: General admission is $20 ($25 at the door). You can also purchase an Early Beer Drinker ticket for $30 and enter an hour early. Buy tickets here. • Anderson Valley Brewing Company • Angry Orchard • Anheuser-Busch • Ballast Point Brewing Company • Best Damn Brewing Co. • Boulevard Brewing Company • Craft Brew Alliance • Deschutes Brewery • Full Sail Brewing Company • Great Divide Brewing Company • Henry Weinhard’s • Hopworks Urban Brewery • Lagunitas Brewing Company • Laughing Dog Brewing • Leinenkugel Brewing Company • New Belgium Brewing Company • Ninkasi Brewing Company • Oskar Blues • Pelican Pub & Brewery • Redd’s Brewing Company • Rogue Ales • Sam Adams • Sapporo • Schofferhofer • Sierra Nevada Brewing Company • Ska Brewing • Small Town Brewery • Sockeye Grill & Brewery • Spoetzl Brewery • St. Killian • Stone Brewing Co. • Strongbow Hard Cider • Upslope Brewing Company • Vermont Cider Co.
Beer Tokens: You’ll receive 5 virtual tokens (8 if you’re an Early Beer Drinker) and a non-virtual taster mug upon entering the festival. The tokens will be loaded onto your RFID wristband. Draft sample pours (4% ABV, 5oz) cost 1 token, high-point sample pours (over 4% ABV, 5oz) cost 2 tokens (a handful of super fancy exceptions cost 3–4), and draft full pours (4% ABV, 12oz) cost 3–4 tokens. You can re-up your tokens via the UBF app or at one of three token stations. Food: There will be 16 food trucks on site, offering everything from pizza to poutine and bahn mi to burgers. 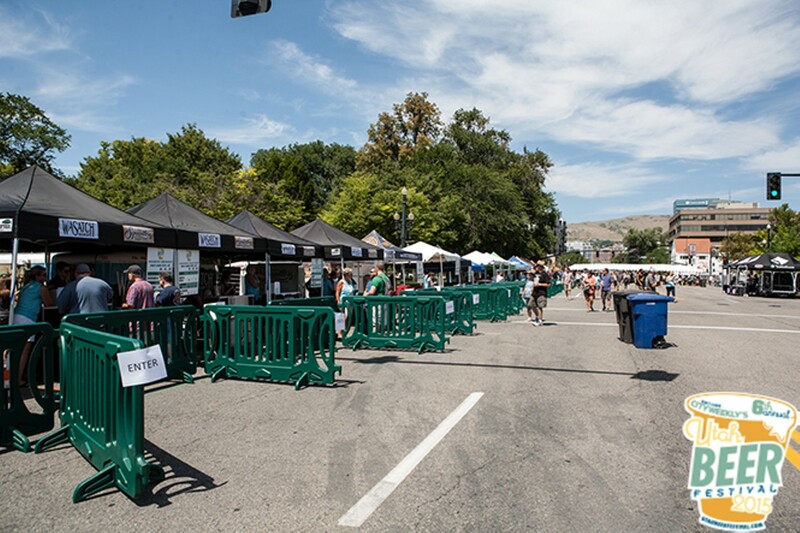 Entertainment: In addition to experiencing the pure, wholesome joy of sampling myriad beers and ciders, you can also pet pups at the Humane Society of Utah booth, pick up your very own brewing supplies, belt it out on the karaoke stage, play games, and groove to live music. 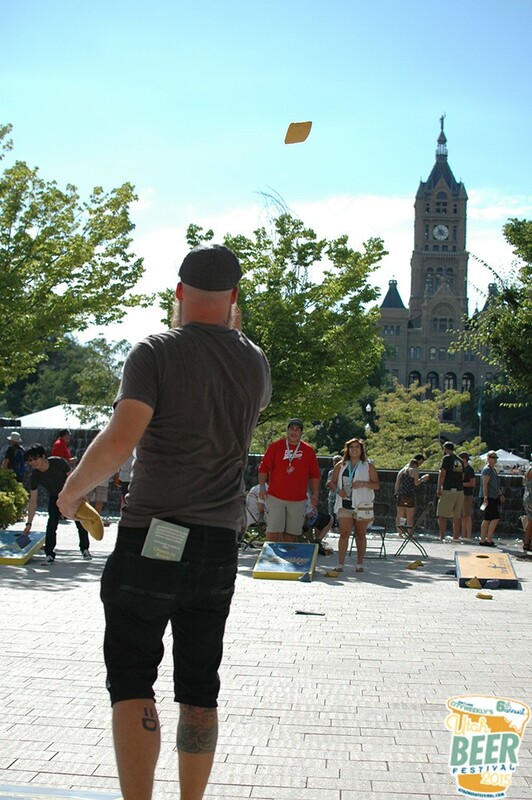 Transportation: Trax is the recommended mode; there’s a crazy-convenient Fair Park stop on the Green Line, and all pre-purchased UBF tickets include *free* Trax, bus, or Front Runner fare to and from the festival. There’s a free bike valet station at the Fair Park if you prefer to bring your two-wheeled steed. And for those needing to arrive by car, your designated drivers can buy discounted tickets to the fest. ID: Bring your driver&apos;s license, passport, state-issued ID, or military ID. This is strictly a 21+ affair. No kids, no pets (even if your cat is over 21). Don’t space this one. Buy your Utah Beer Festival tickets now!